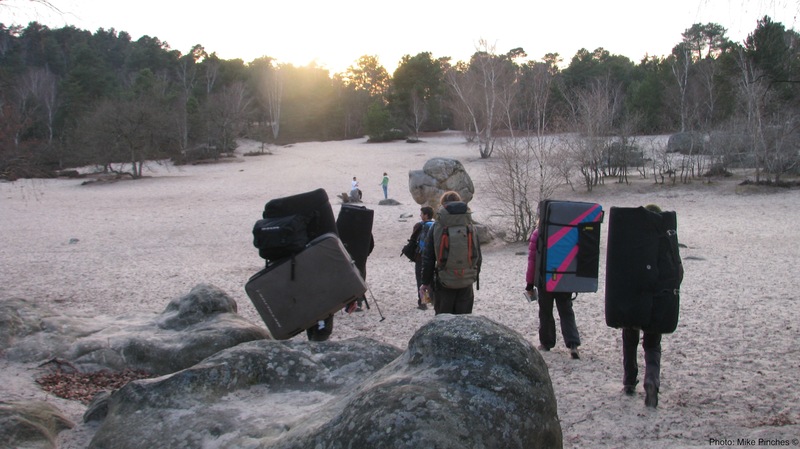 Bouldering mats get better and or bigger as you spend more, but there are some main differences and some things to watch out for. They are generally made of two densities of foam, one thick to absorb impact and one soft to make it comfy to land on, although there are other variations available, such as the DMM Highball which uses two layers of hard foam around the soft one in the middle. This is better, as it helps dissipate any force from undulations on the ground, but dearer, fatter and heavier. 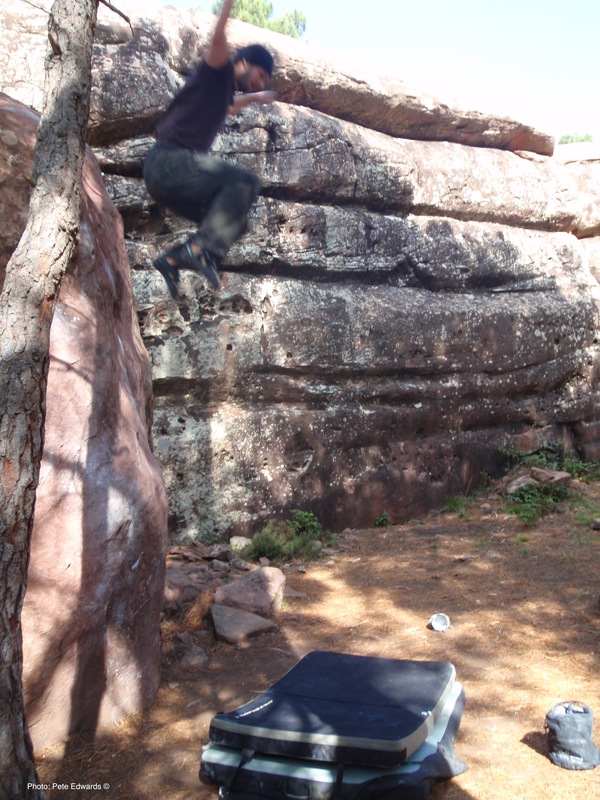 Anyway, there are three major types of bouldering mat: taco style, diagonal cut and straight cut. Taco pads are the ones that fold in half, and to be honest are my preferred style as there is no soft spot in the middle where there isn’t any foam. The downside is they tend to be quite big, and do end up holding that shape after a while. Good ones are the Snap Bun and the Petzl Cirro/Alto. Diagonal cut are mainly made by Metolius, and on a flat floor eliminate that dead spot in the middle, although if placed over a dip, they can bend around you just like the square cut. They’re very good pads, and a good compromise, considering they’re a bit cheaper for the equivalent foam. The Stomp Pad (now called the Bailout i think) is a slightly cheaper option than the Boss Hogg, but the Boss Hogg has a more durable material and is better made, making it longer lasting. If all of these are too expensive, the straight cut are the cheapest, with plenty of options to chose from but watch out for a couple of things. Make sure the material is good, or you’ll tear it on your first trip out, and as daft as it might sound, make certain the zip is on the longest end, or getting the foam out (for replacing or cleaning) is a nightmare. There are still top quality straight cut out there, like the DMM Highball, but Alpkit make some cheaper and smaller versions (the Phud and the Woomf) which are good for the money. Other features on a better pad can be quite complex, such as the fastening system, the carrying handles, or various extra pockets (where i normally end up putting things and subsequently forget, thus don’t include as a feature per se) or can be simple but important, again like the Highball mentioned above. Replacement foam can also be handy, as i’m slowly finding with my five-year old and heavily used pad. There are even some inflatable ones making their way on to the market, but i would disregard these for a few years until the quality and price improve. The only other exception that is definitely worth mentioning are what i call supplementary pads: ones made from a single layer of high density foam. While these can be great, and i’m not knocking them, they are exactly as i’ve said, supplementary, for use on sitting starts or low-level traverses, and shouldn’t really be used alone. They’ll take the edge of a small fall, and stop your bum getting bruised on a pebbly sitting start, but that’s about it, so despite the good price tag, leave it for another time. Examples are the DMM Bit and the Metolius Launch Pad (not a single layer, but similar). Another point to note might be the carrying style, but to be honest, since they all began to put hipbelts on the pads, they’ve become pretty much the same. It is worth more consideration if you are planning on taking multiple pads with you, as i often carry two pads even when climbing alone. 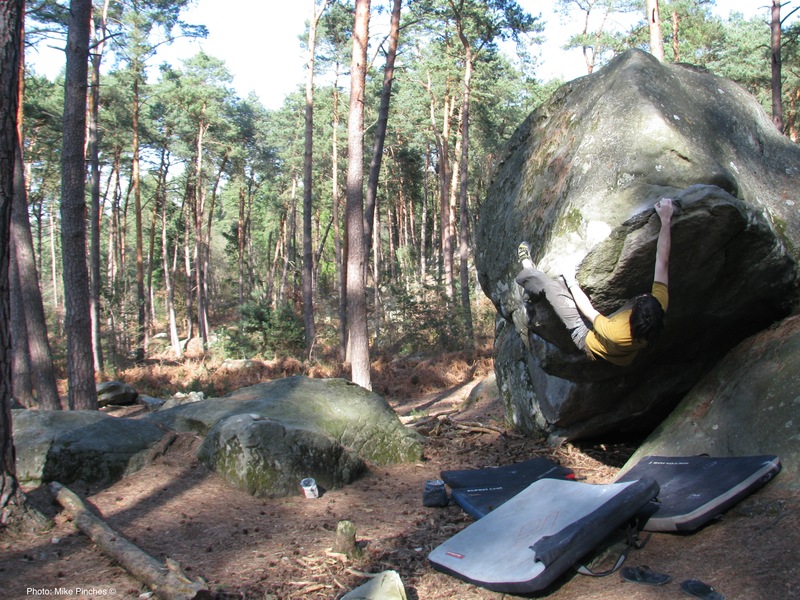 I also don’t subscribe to the popular “stuff all of your kit inside the pad” ideology used by many boulderers, as this can be a bit of a pain when moving from bloc to bloc. Instead, i also hang a record bag off the back of my main pad, but this doesn’t do any good for the foam inside. A lot of people do tend to take a thinner or supplementary pad inside their main one too, but this again hinges of marrying the two together quite nicely, which can be tricky sometimes. You’ll get an idea from the photo at Cul de Chien (left). It might be worth measuring the space available in the back of the car too, as all dimensions are generally given on the respective websites, and that’ll save you a bit of cash: bigger pads cost more, just look at the price of the Metolius Magnum! As a general rule though, my recommendations are either the Metolius Bailout, the Black Diamond Dropzone or the DMM Highball, all of which are available here. Hope that helps, feel free to contact me at chezdelabloc@gmail.com with any questions/queries/debates you may have.